An informal knitting group will meet at the library which offers an opportunity for people to get together, bring a project to work on (either for 20 minutes or the whole group meeting) and have friends nearby to ask questions when they need help. 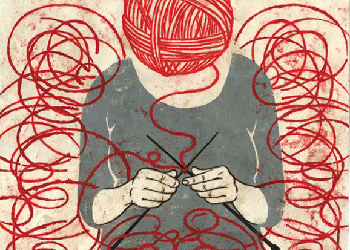 The first 30 minutes are devoted to help with your project – the last hour is devoted to social knitting. Knitters and all other fiber artists are invited to attend! Questions! Please call the Reference Desk @ 617.698.5757 with any questions.